This is where dreams come true... We've completely turned your audience analytics on its head. Welcome to instantaneous customization and personalization of your own data! First things first - to get to Insights, click on the dropdown menu in the top-left menu bar and select Insights. The Dashboard is the default home page (you can choose any page to be your home!) of Insights. Here you can find your Cerkl Snapshot, Subscriber Metrics, and Delivery Metrics. 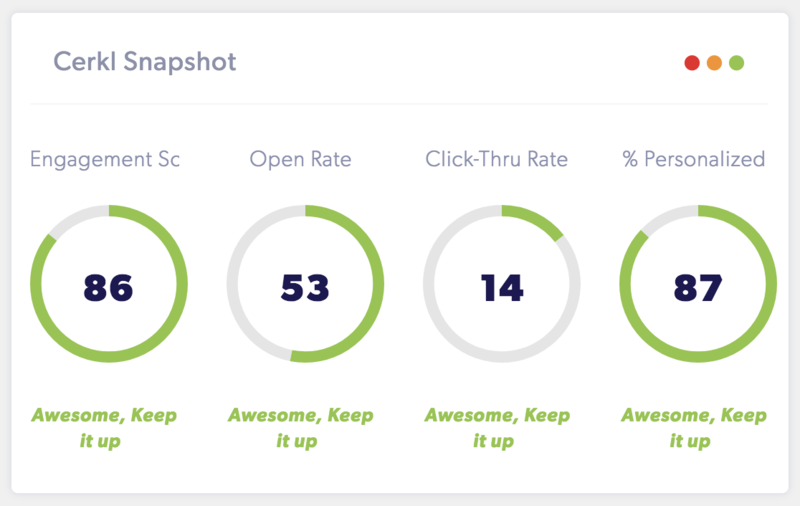 The Cerkl Snapshot gives a high-level overview of your organization's engagement metrics, including engagement score, open rate, click-thru rate, and personalization rate. Subscriber Metrics is an overview of your audience. 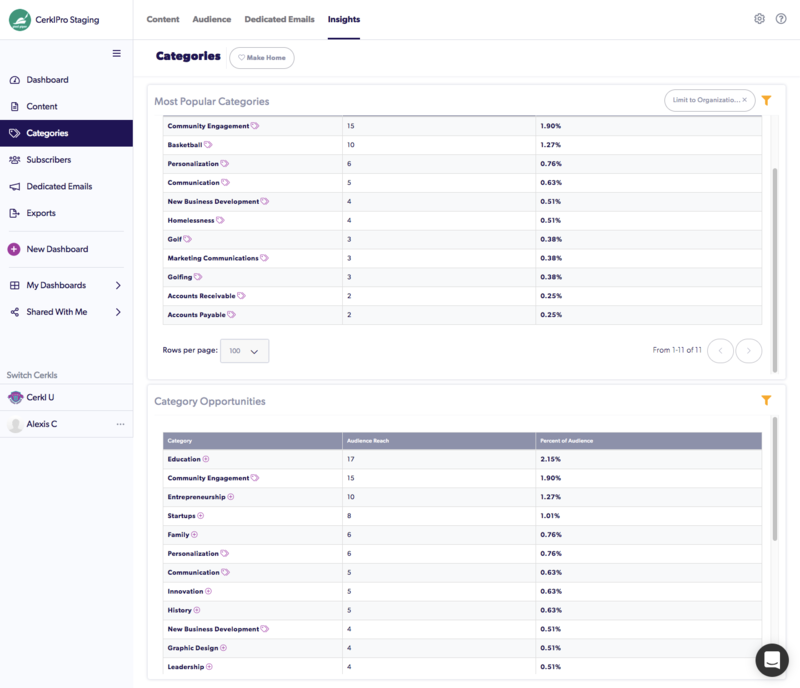 The box details the size of your audience and the number of new subscribers and opt-outs in the reporting period in the top-right of the page. 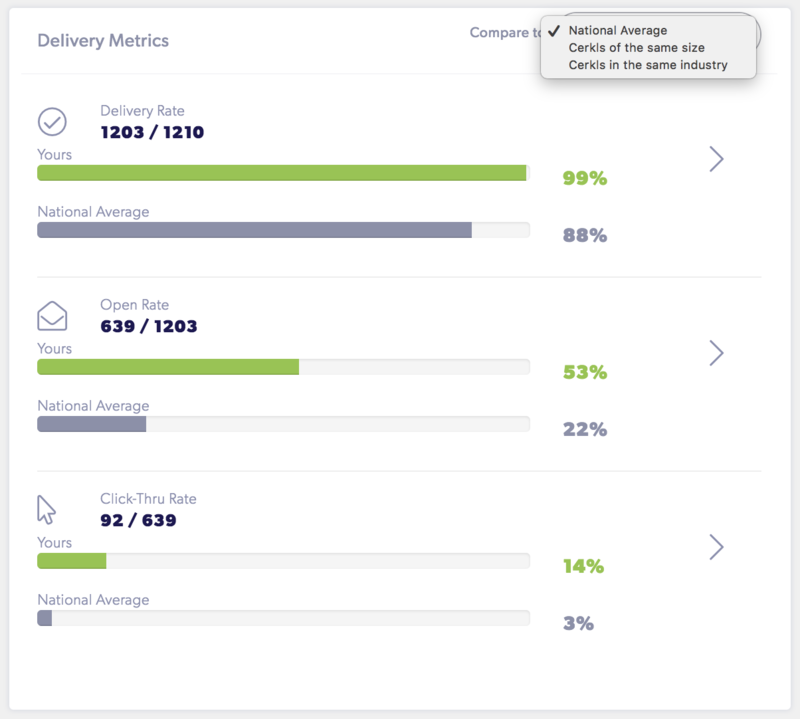 Delivery Metrics measure your Cerkl's performance against other organizations by national average, Cerkls of the same size, and Cerkls in the same industry as yours (you can change the contrasting statistics in the menu). By comparing your delivery rate, open rate, and click-thru rate, you can see how you stack up! 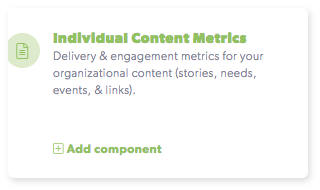 Under the Content section in Insights, you will see a table labeled Individual Content Metrics, which measures individual content pieces' (stories, events, needs, and links) engagement. In the Categories column, all of the categories that were tagged in the story will appear. Moving right, you'll see what content source (RSS feed) the post came from - the box will be empty if it was created in Cerkl. 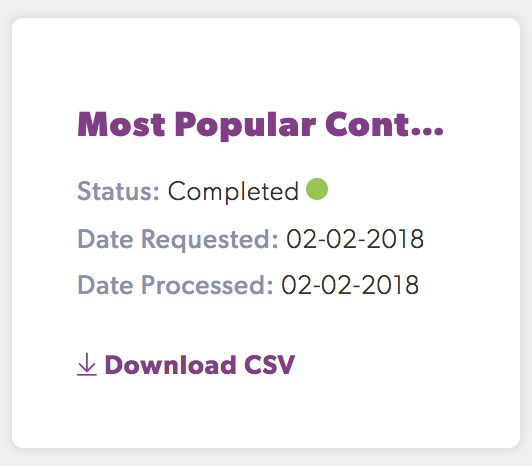 Along the columns, you'll find each article's URL, Engagement Score, Delivered (number of emails containing article), Opens, Unique Opens, Clicks, and Unique Clicks. You can sort by these data points in the dropdown menus above the table. Filter by certain categories or by content source. Also, if your organization has a child Cerkl, you'll see the option to filter by organization. The Categories section is a deep-dive into your organization's topics. There are two tables that detail (1) your most popular categories and (2) some opportunities for your Cerkl to expand on others. In the Most Popular Categories table on the left side of the screen, you'll see your categories sorted by their reach (the number of subscribers who have chosen that category as an interest of theirs - in both your Cerkl and others). The small tag icon directs you to the Categories page in your Settings where you can manage your Cerkl's categories! Don't forget about your Category Opportunities table toward the bottom of the page! It details your opportunities for more content. Let us explain... your subscribers interact with a lot of content. They share their interests explicitly by choosing their interests (your categories), but Cerkl also implicitly learns their behavior from their behavior with both your content and other Cerkls'. 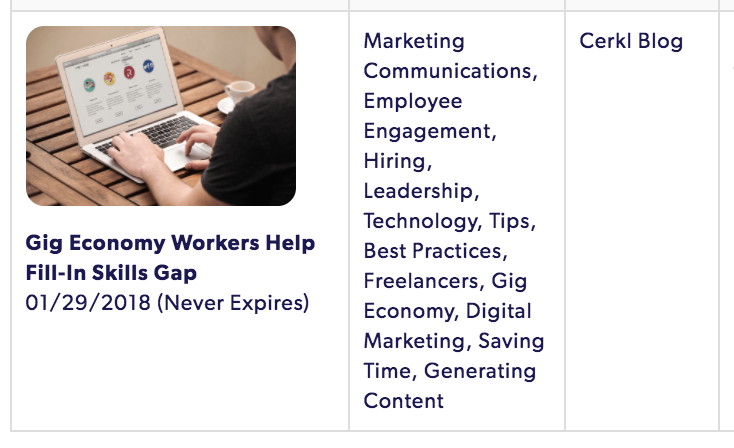 Combining these statistics, Category Opportunities warns you of categories (whether they're your organization's categories or not) that could use more content. Post or pull in more content with these tagged categories to further engage your audience! Click on the small + icon next to the category to manage your organization's categories! 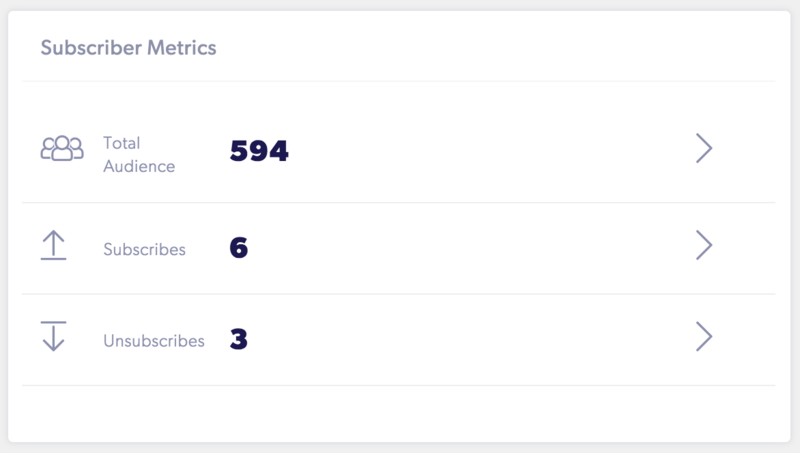 Under the Subscribers tab in Insights, you can find details about your specific subscribers rather than about your audience as a whole. Beware of the reporting period in the top-right corner of your screen - only the audience members who have had and action occur (delivery, open, click, etc.) in the timeframe selected will appear in your tables below! If they have 0's across the board for the reporting period then they will be filtered out. 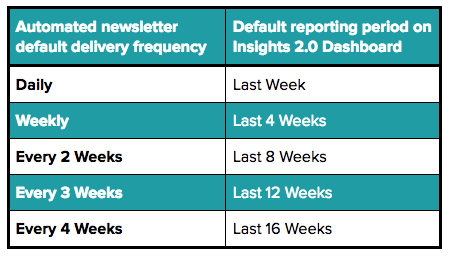 This snapshot details the subscriber's delivery preferences (frequency, day, and time), the date they subscribed to your Cerkl, the date of their last newsletter delivery, the date they personalized, whether they're in any segments, and their top five categories (both explicit and implicit). You're able to filter this category by personalization (subscribers who have chosen their interests and those who haven't) and organization - only if your organization has a child Cerkl. 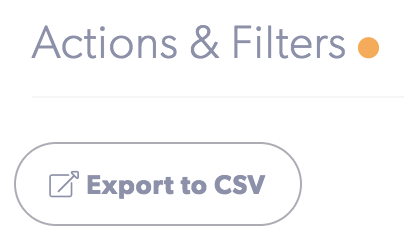 To export your current table (if you've filtered your subscribers), click Export to CSV! If you'd like to manage your individual audience members and their settings, head to the menu and select Manage Subscribers! Below the master Individual Subscriber Metrics table is the Subscriber Opt-Outs table, where your most recent opted-out subscribers appear. The Bounced Email Addresses table gives your organization an idea as to why each subscriber's email bounced. To update their emails, head to the Manage Subscribers tab in the top-left dropdown menu. Finally, Blocked Subscribers displays, you guessed it, the subscribers who your organization has blocked. Under the Campaigns tab, your dedicated email campaigns and their insights are detailed in a table. 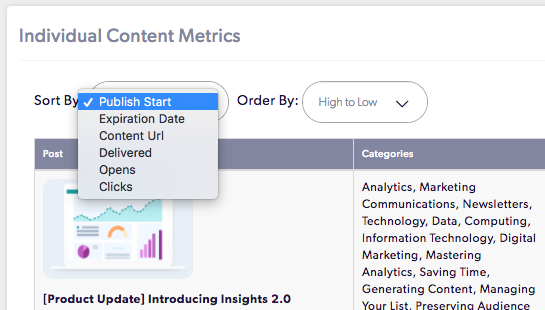 You're able to sort and order your campaigns by their date scheduled (default), delivered, opens, unique opens, clicks, unique clicks, spam, and bounced. 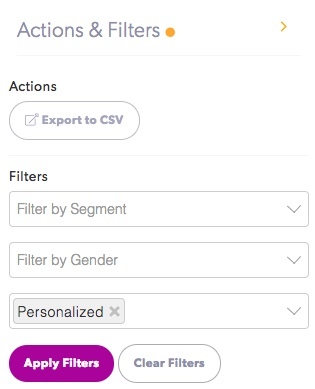 Use the filter button in the top-right corner of the box to segment your campaigns by organization (if you have a child Cerkl) or export your current table to a CSV file! Remember - your statistics update every 15 minutes (in the past, our partners had to wait a full 24 hours to see campaign metrics)! Click Download CSV to access your data! This is the most exciting feature of Insights where you're now able to customize all of your data and analytics!! Simply click the cards and they'll appear on your dashboard. Feel free to tinker with the table sizes, different filters, and reporting periods to best report your Cerkl's analytics. Our awesome partners also have the ability to make their custom dashboards either public or private with the Share button at the top of the screen. Here, you can access all the custom dashboards that your team members have shared with you. Remember - if someone makes their custom dashboard private, you'll no longer have access to edit or view it.